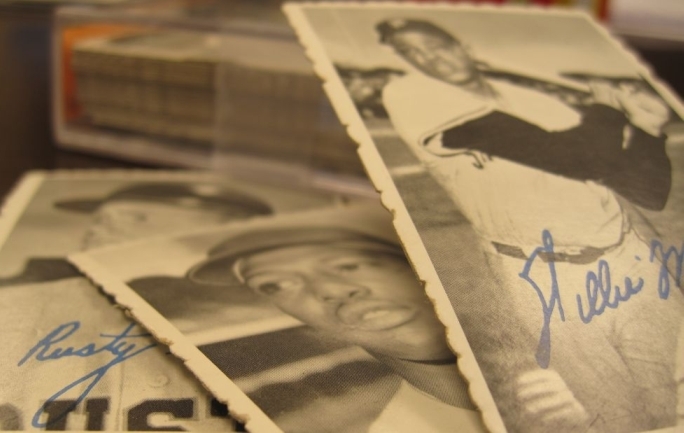 The 1969 Deckle Edge insert set consists of a total of 35 cards. While the cards are only numbered 1-33, two cards, #11 and #22, feature two different players, depending on the variation. Card #11 for example, can feature either Hoyt Wilhelm or Jim Wynn, and card #22 is either Joe Foy or Rusty Staub. In both cases the “B” variation is more valuable (Wynn and Staub). For being such a small set, '69 Deckle Edge has lots of big names! Just as the ’65 Embossed cards were inserted into the original ’65 card packs, the 1969 Deckle Edge cards were inserted into regular issues of ’69 cards. The Deckle Edge cards have a unique design as well. In fact, the title of the set alludes to the way in which the cards were cut. The scalloped borders simulate an old-style photo, thus the cards had their vintage-style appearance right as they rolled off of the printing press! Visit DeansCards.com to see our collection of 1969 Deckle Edge insert cards!